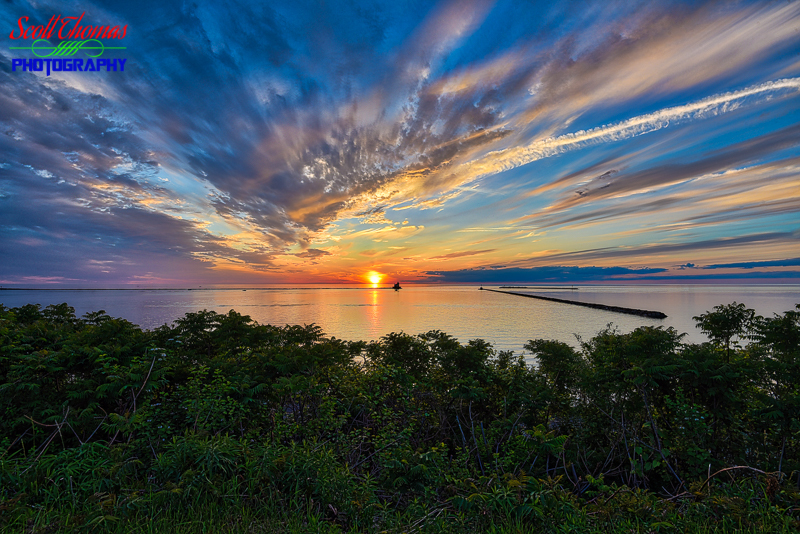 Sunset taken from Fort Ontario Park of the Oswego Harbor in Oswego, New York on Saturday, June 9, 2018. Nikon D750/16-35VR, f/16, ISO 100, EV 0, 16mm Focal Length, Tripod, HDR Image. It’s Summertime in Upstate New York and the Sun has returned to Lake Ontario. 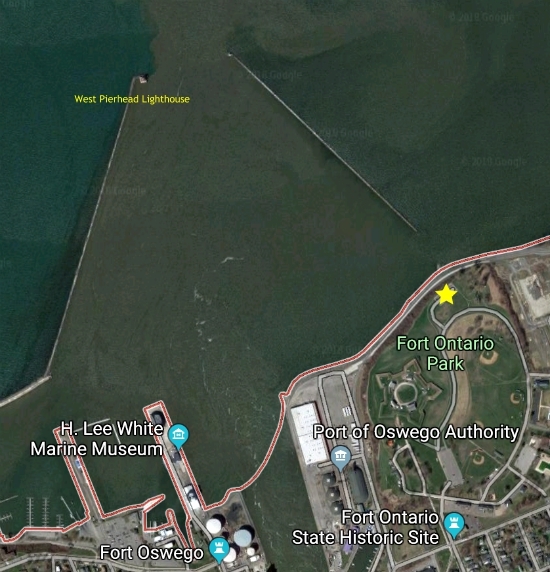 After having a meal at Rudy’s Lakeside Drive-in near Oswego, New York, I drove over to the Fort Ontario Park which has an overlook of the Oswego Harbor. I had had a long day of shooting a nearly four hour baseball game earlier. The joy of photographing a beautiful sunset on a warm evening was just the thing my spirit needed to unwind. The first photo shows the Sun about to disappear over the horizon. This next one was taken five minutes after it had set. Never stop photographing a sunset until well after the Sun has disappeared. Especially if there are clouds in the sky with a clear horizon as the Sun can light the clouds up. For those of you who may be interested, here is the location I was photographing from (yellow star on the map). This is a welcome back for me. A lot has happened over the last 18 months since my last blog post. My heart was not in it. Lately, I found I have missed it and will be posting weekly (for now) as I did when I first started this blog back in 2008. For those interested, both of the sunset images were created from five photos taken 1-Stop apart and merged into one image via Aurora 2018 HDR software by Skylum. I finished off the processing in Adobe’s Lightroom Classic. 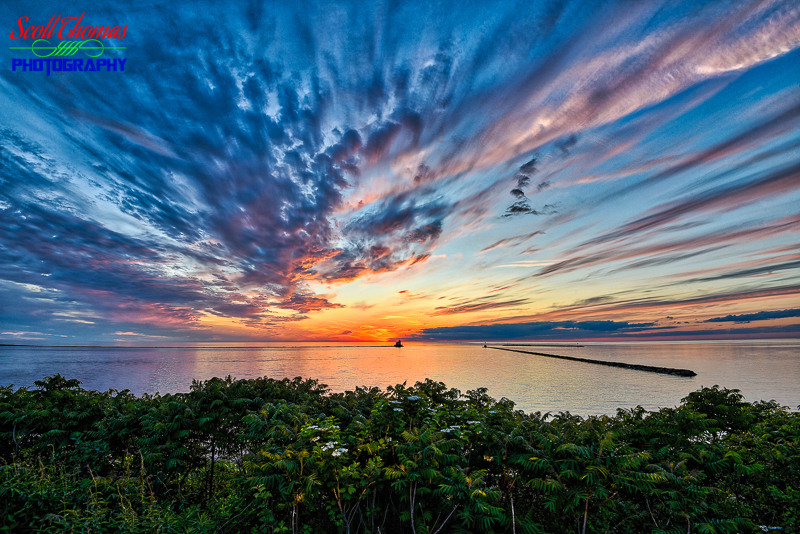 This entry was posted in Nature, Weekly View and tagged 16-35mm, aurora, clouds, hdr, Lake Ontario, landscape, new york, nikon D750, oswego, sky, summer, sunset, tripod, water. Bookmark the permalink. Thanks for posting again. I’ve missed seeing your posts.